Sometimes after you’ve experienced significant weight loss, you need a little extra boost to get rid of stubborn areas of fat or tighten sagging skin. 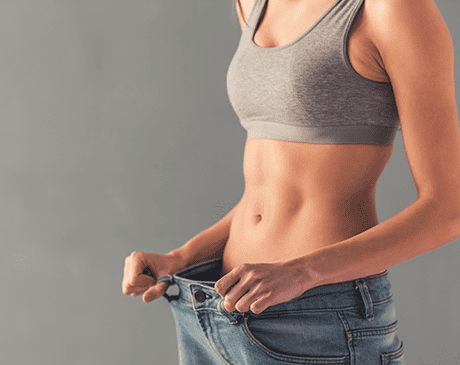 At Body Contourz body image center in Studio City, California, the compassionate team can help you achieve your weight-loss goals with the latest technology in nonsurgical, noninvasive fat reduction. With the advanced technology of UltraSlim® light therapy treatments, just a few sessions can contour your body and tighten your skin so you look and feel your best after weight loss. Make an appointment today by calling the office or scheduling online. How does UltraSlim help with weight loss? If you’re trying to lose weight but diet and exercise still aren’t transforming those hard-to-tone areas, like your belly, hips, and thighs, FDA-approved UltraSlim light therapy treatments can help you achieve your weight-loss goals. Through a patented light technology, the UltraSlim system makes it easy to shed pounds and get rid of stubborn fat so you look and feel more confident in your favorite clothes. UltraSlim’s noninvasive weight-loss treatments deliver fast results without downtime, exercise, drugs, or surgeries – just natural light technology. The team at Body Contourz guarantees you’ll lose two inches in just one 32-minute treatment, or you get your money back, so there’s no risk to try this innovative, potentially life-changing procedure. How long do the results of UltraSlim treatments last? Weight loss and fat loss with UltraSlim is permanent. Once your fat is gone, it doesn’t grow back. During a treatment session, the special light technology penetrates below the surface of your skin to stimulate your fat cells. This causes them to open and release the fat stored inside these cells. The results are long-lasting for even the most stubborn, hard-to-lose areas of fat. How safe is UltraSlim for weight loss? UltraSlim is nonsurgical, noninvasive, and there are no medications involved. It’s the only fat-reduction and body-contouring device that’s in the safest category of medical devices – the same category as tongue depressors – posing no health risks, no complications, and no harmful side effects. It’s perhaps one of the safest ways to lose weight and fat available today. And, at Body Contourz, only trained and certified technicians administer the UltraSlim treatment, so you’re comfortable and safe throughout your entire appointment. To learn more about UltraSlim and weight loss, fat reduction, and noninvasive body contouring, call the office today or request the next available appointment using the convenient online booking tool.